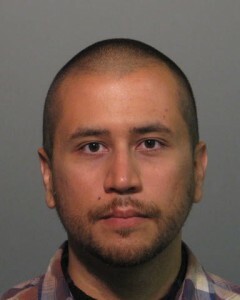 It seems as if George Zimmerman has found a new calling in life. One that could possibly restore his tainted public image and help children around the world to avoid situations similar to the one that cost Trayvon Martin his life. Zimmerman, along with collaborating illustrator, Gina Melosi have teamed-up to create a series of children’s books which we were told would be available sometime in early spring. The books illustrate scenarios involving dangerous situations in which a cast of colorful and mythical creatures instruct children on how to avoid perilous outcomes by doing the right thing. Nancy Gearheart, founder and chief editor of Magic Island Publishing, was initially apprehensive about printing Zimmerman’s work, given the obvious controversy that’s surrounded him since the Trayvon Martin shooting, but she claims to have quickly had a change of heart upon having the chance to pore over George’s work. Magic Island Publishing House are planning to release the first book in Zimmerman’s series titled “Dark Alley Dan and The Bad Bad Man” later this year. Once the books go to print, Zimmerman also plans to tour several schools throughout Florida to in order to raise awareness about better ways children can avoid disaster in potentially dangerous situations.